I am sur­prised that the head of a great State should set him­self to attack British mem­bers of Par­lia­ment who hold no offi­cial posi­tion and who are not even the lead­ers of par­ties. Such action on his part can only enhance any influ­ence they may have, because their fel­low-coun­try­men have long been able to form their own opin­ion about them and real­ly do not need for­eign guid­ance. I have always said that if Great Britain were defeat­ed in war I hoped we should find a Hitler to lead us back to our right­ful posi­tion among the nations. I am sor­ry, how­ev­er, that he has not been mel­lowed by the great suc­cess that has attend­ed him. The whole world would rejoice to see the Hitler of peace and tol­er­ance, and noth­ing would adorn his name in world his­to­ry so much as acts of mag­na­nim­i­ty and of mer­cy and of pity to the for­lorn and friend­less, to the weak and poor. Since he has been good enough to give me his advice I ven­ture to return the com­pli­ment. Herr Hitler also showed him­self undu­ly sen­si­tive about sug­ges­tions that there may be oth­er opin­ions in Ger­many besides his own. 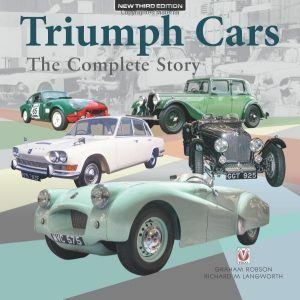 It would be indeed aston­ish­ing if, among 80,000,000 of peo­ple so vary­ing in ori­gin, creed, inter­est, and con­di­tion, there should be only one pat­tern of thought. It would not be nat­ur­al: it is incred­i­ble. That he has the pow­er, and, alas! the will, to sup­press all incon­ve­nient opin­ions is no doubt true. It would be much wis­er to relax a lit­tle, and not try to fright­en peo­ple out of their wits for express­ing hon­est doubt and diver­gences. He is mis­tak­en in think­ing that I do not see Ger­mans of the Nazi regime when they come to this coun­try. On the con­trary, only this year I have seen, at their request, Herr Bohle, Herr Hen­lein, and the Gauleit­er of Danzig, and they all know that. In com­mon with most Eng­lish men and women, I should like noth­ing bet­ter than to see a great, hap­py, peace­ful Ger­many in the van­guard of Europe. Let this great man search his own heart and con­science before he accus­es any­one of being a war­mon­ger. The whole peo­ples of the British Empire and the French Repub­lic earnest­ly desire to dwell in peace side by side with the Ger­man nation. But they are also resolved to put them­selves in a posi­tion to defend their rights and long-estab­lished civ­i­liza­tions. They do not mean to be in anybody’s pow­er. If Herr Hitler’s eye falls upon these words I trust he will accept them in the spir­it of can­dour in which they are uttered. I think you are a lit­tle con­fused. You have cer­tain­ly con­fused me—and tak­en me out of con­text. 1) My state­ment (in a reply below) was: “What Churchill incor­rect­ly called ‘poi­son gas’ was tear gas” is clear­ly linked to my descrip­tion of the gas he con­sid­ered using in Iraq in 1921. You then offer two Churchill mem­os, one of which you mis­date, which you say prove Sir Mar­tin Gilbert was “lying” or “con­flat­ing,” because (you say), they are in ref­er­ence to “Nor­mandy alone.” Not so. 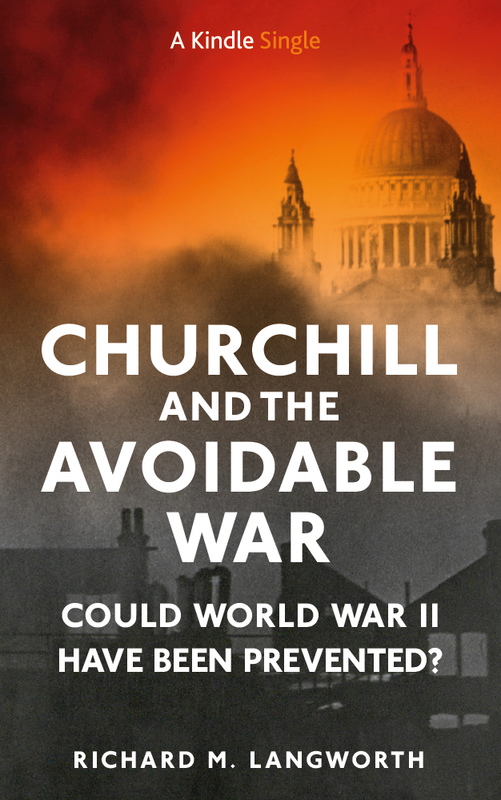 In 1943 Churchill was try­ing to think of con­tin­gen­cies that might arise in the com­ing inva­sion. In May 1944 he was indeed think­ing of Nor­mandy. But by July 1944 the inva­sion was a month old, and he was think­ing of the rest of the war. 4) PM’s Per­son­al Minute (“I want a cold-blood­ed cal­cu­la­tion”) is quot­ed in Gilbert, Road to Vic­to­ry, page 776. You cor­rect­ly state that this was in rela­tion to the com­ing Nor­mandy inva­sion. How­ev­er, a far more spe­cif­ic “cold blood­ed cal­cu­la­tion” request by Churchill was dat­ed July 6th, a month after the inva­sion. It—and not his May 21st message—is in fact the memo Churchill refers to on July 25th (above). So I am left per­plexed as to how, cor­rect­ly and chrono­log­i­cal­ly inter­pret­ed, any of these mem­os can be con­sid­ered con­tra­dic­to­ry, mis­rep­re­sen­ta­tive, con­flat­ed, mis­lead­ing, or some­thing Mar­tin Gilbert lied about. Togeth­er they rep­re­sent Churchill’s con­sis­tent con­cern, in World War II, that Britain be pre­pared to retal­i­ate in kind to any use of any gas by the ene­my. They nev­er did; and Britain nev­er did. But to win wars, one has to be pre­pared. Sir Mar­tin was lying, as well as—if you’ve quot­ed him correctly—conflating texts from entire­ly sep­a­rate doc­u­ments. I poss­es pho­tos I took per­son­al­ly of the doc­u­ments I quote here. —Prime Minister’a WPer­son­al Minute, Ser­i­al D.217/4. July 6, 1944. UK NA: CAB 120-775. Churchill’s ref­er­ence to mus­tard gas in this memo was for use in Nor­mandy alone. “I want a cold-blood­ed cal­cu­la­tion made as to how it would pay us to use poi­son gas, by which I mean prin­ci­pal­ly mus­tard. We will want to gain more ground in Nor­mandy so as not to be cooped up in a small area. We could prob­a­bly deliv­er 20 tons to their 1 and for the sake of the 1 they would bring their bomber air­craft into the area against our supe­ri­or­i­ty, thus pay­ing a heavy toll. —Prime Minister’s Per­son­al Minute, Ser­i­al D.163/4. May 21, 1944. Ibid. Not only the Lusi­ta­nia. Why, he also sank the Titan­ic! Not only chem­i­cal weapons in Rus­sia. He also want­ed to gas the Iraqis! And he sin­gle­hand­ed­ly engi­neered the Ben­gal Famine. Did you know he knew about Pearl Har­bor in advance and kept mum? Let the tum­brels roll! 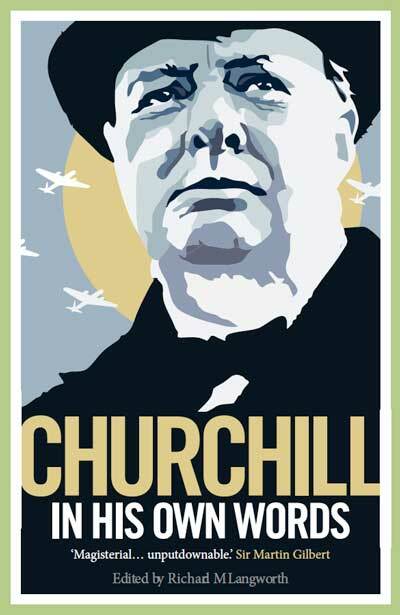 Churchill was a war crim­i­nal. He should have been tried for putting war muni­tions on pas­sen­ger lin­ers like RMS Lusi­ta­nia, and for using chem­i­cal weapons in Rus­sia. Pub­lish it? Why not? It’s a free coun­try, and every­one has the right to embar­rass them­selves. Let me get this straight. Anx­ious to pro­mote my flawed vision, I edit­ed out a com­ment by the real Ser­gio (whom “Lord Marl­bor­ough” says I mis­led below), and sub­sti­tut­ed a fake Ser­gio, writ­ing only pos­i­tive things. Aside from the lim­it­ed hours in the day, I sup­pose I could do this. But Word­Press has this annoy­ing habit of iden­ti­fy­ing one’s ISP, and would slap my name on it. This may scare you: Word­Press knows who you are. Churchill said: “He spoke with­out a note, and almost with­out a point.” At least “Lord Marl­bor­ough” made some points. So I have to ask if you have any, oth­er than to push the Vul­gar­i­ty Meter. There’s a lim­it to that, even in a democ­ra­cy. N.B. : Inter­est­ing that most mes­sages like this come from peo­ple who use screen names, while those with adult obser­va­tions often ful­ly iden­ti­fy themselves—like Mr. Ser­gio Asun­cion (below) who will get a copy. A cer­tain Ser­gio referred to by the article’s author, and by anoth­er read­er (so-called Lord Marl­bor­ough -for lack of a bet­ter name­sake-), appears to have wad­ed in Win­ston Churchill and threw some ‘punch­es’. How­ev­er, his post is nowhere to be seen. It must have been removed. Inter­est­ing­ly, while the orig­i­nal Ser­gio has been edit­ed out of oppo­si­tion to the arti­cle (how demo­c­ra­t­ic, sir), an impos­tor Ser­gio appears to have eat­en his words and seen the ‘light’. Talk­ing about hav­ing your cake and eat­ing it. I wouldn’t both­er sug­gest­ing to you telling you to take your hyp­o­crit­i­cal democ­ra­cy and shove it up a cer­tain part of your rear anato­my, but I think that I just did. Long may your exem­plary wis­dom and tol­er­ance of any opin­ion that does not run con­trary to your flawed vision con­tin­ue. By gad, your Lord­ship, I think you’re on to some­thing! Thanks for quot­ing your favorite part from my orig­i­nal post…. The prob­lem is, the one-two punch­es you offer Ser­gio are not Churchill’s first and last com­ments on Hitler, but some­thing like his 37th and 75th; and sep­a­rat­ed by three years—from 1935 (when Hitler was preach­ing peace and har­mo­ny) to 1938 (after Hitler had grabbed the Rhineland, Aus­tria, and Czecho­slo­va­kia). 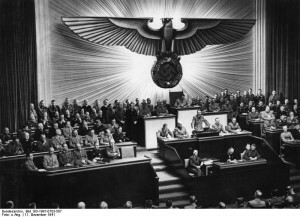 A let­ter Hitler wrote Lord Rother­mere, in May 1935, except for the white suprema­cy bits, could have been writ­ten by the Pope. One must con­sid­er what hap­pened in between. He was pro­vi­sion­al enough to repeat him­self whilst adding a para­graph or two in order to play up to being tak­en out of con­text at a lat­er date. The politician’s favourite excuse: “My words have been tak­en out of con­text.”. A few years lat­er mus­tard gas was used against the Kurds. A crime Sad­dam Hus­sein was hung for. How­ev­er, his dis­taste for the “uncivilised” didn’t stop there. He brand­ed Gand­hi “a half-naked fakir” who “ought to be laid, bound hand and foot, at the gates of Del­hi and then tram­pled on by an enor­mous ele­phant with the new viceroy seat­ed on its back”. And there’s plen­ty more occa­sions record­ed through­out his­to­ry where this wicked old poltroon allowed his true per­son to be revealed. 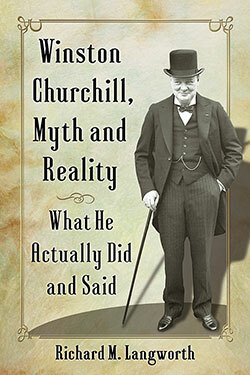 Not at all, it’s quite accu­rate, and you cor­rect­ly include Churchill’s words usu­al­ly excised by spin artists. But he said that about Mus­soli­ni, not Hitler. Your quote is from Churchill’s press state­ment in Rome (20 Jan­u­ary 1927) after meet­ing with Count Volpi, Italy’s finance min­is­ter, over the Ital­ian war debt (Churchill was then Chan­cel­lor of the Exche­quer), and after two brief meet­ings with Mus­soli­ni. You tend to say polite things about a nation’s leader when you want him to cough up the mon­ey his coun­try owes yours. Churchill was even more loqua­cious in praise of Mus­soli­ni in his des­per­ate let­ter urg­ing him not to enter the war in 1940, when France was col­laps­ing. You tend to say dis­arm­ing things when you are try­ing to encour­age a fel­low not to stab you in the back. After Mus­so did that, he want from “law-giv­er” to “whipped jack­al” in the Churchill lex­i­con. This was prob­a­bly out of con­text too, eh? The quote sup­plied still isn’t com­plete. 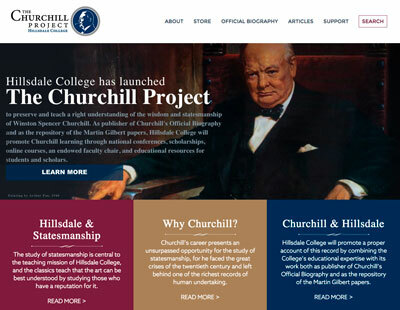 If I recall, Churchill praised Mein Kampf imme­di­ate­ly before the the seg­ment the author of this web­site sup­plied. Thank you very much for the clar­i­fi­ca­tion! 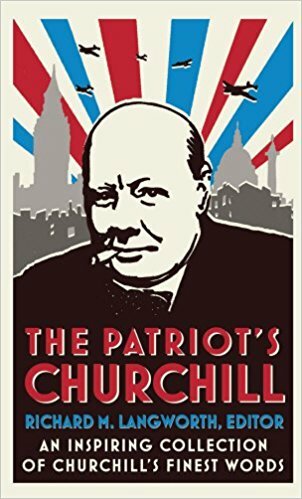 Since I watched the afore­men­tioned movie, I had tak­en for grant­ed Churchill had real­ly praised Hitler in an ear­ly time. 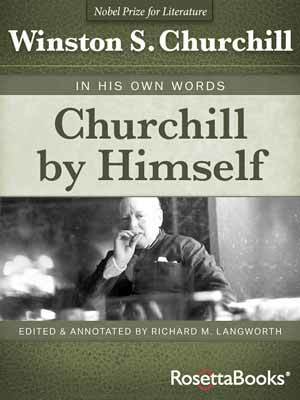 Adding that to his seem­ing sup­port to eugenic poli­cies led me to think he was ide­o­log­i­cal­ly close to the Nazis’ own sin­is­ter point of view.However, the text shows that, on the con­trary, Churchill asked Hitler to take into con­sid­er­a­tion the Ger­man people’s diverse opin­ions and to be gen­tle with the less for­tu­nate ones.